We love to cruise and have been on 4 so far and are already planning one to celebrate our 40th birthdays and 10th wedding anniversary. 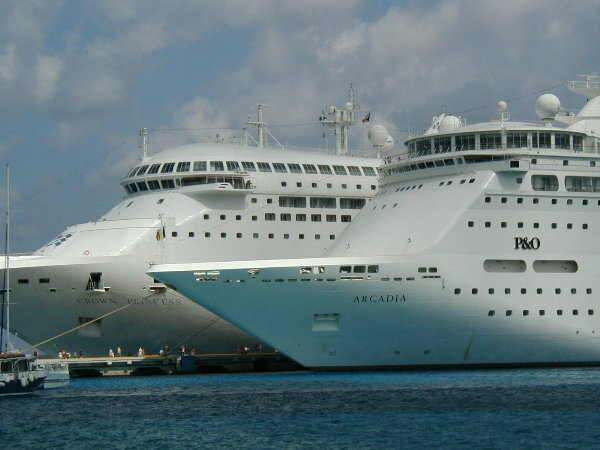 the Arcadia docked in Cozumel next to one of her sister company ships, Crown Princess. 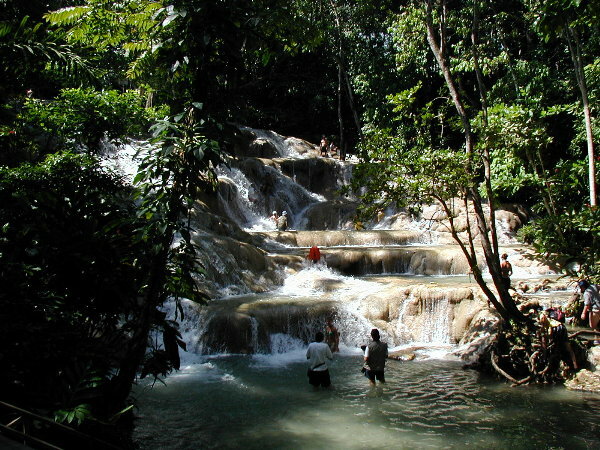 Dunns River Falls, Jamaica. Elvis and Madeline managed to climb up to the halfway point. Elvis went the next step of the way and Madeline finished the rest. Annie didn't want to climb, Water was toooo Cold. So we climbed the walk beside them. Madeline loved it. 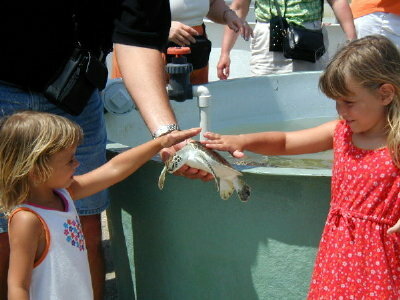 Annie and Madeline petting a turtle at the Turtle Farm on Grand Cayman. 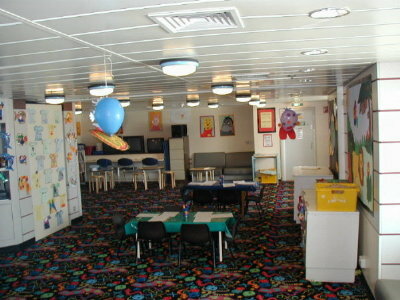 Peter Pan's childrens playroom onboard. Madeline and Annie and their cousins spent alot of time here.